Shiny Satin Burgundy Pants In Slim Fit. Sleek burgundy pants features a satin finish for a super polished look. 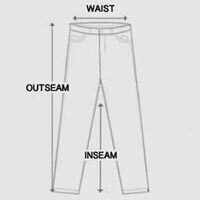 Slim fit chino pants with no stretch designed with slim straight legs and mid-rise waist. Zipper fly and belt loops on waist finished with side pockets and welt pockets on back. Satiny colored pants pairs well with both dressy and casual pieces. If you need statement trousers, go for bold burgundy pants in this season’s trendiest shade.